Mmm…avocados. Whether you like them alone, on your salad, served with chicken, or just to make a regional favorite, guacamole, picking the right avocado is important. So how do you know if the avocado you have your eyes on is ready to satisfy that craving you’ve been having? Did you know that? They actually begin to soften and prepare themselves to be ingested after being harvested. How can you tell if it is ready? Well, first of all Hass avocados are a bit different in that they tend to change color from dark-green to more of a deep purplish color when they are ripe. That being said, however, the real test comes by conducting a pressure test. Now don’t misunderstand, you may not get this right the first time. Picking the perfect avocado is an art and takes practice. In fact, we recommend that you choose a few avocados the first few times of varying softness to compare the difference in taste. The goal is to select avocados that yield to gentle pressure. Pick up the avocado and place in the palm of your hand. Squeeze it without using your fingertips as this may cause bruising. (If there are any large indentations on the outside of the avocado this is a sign it may already be bruised) If they do, chances are they are ready to be eaten now or at least within a day or two. If you decide to purchase some that are more firm or less ripe, they should be ready for you within four or five days. Another important thing to take note of is where to store them. If they are still softening, store your avocados at room temperature. But if they are already ripe be sure to refrigerate them to slow down the ripening process. Once you have your avocados chosen be sure to check out our recipes on our website. 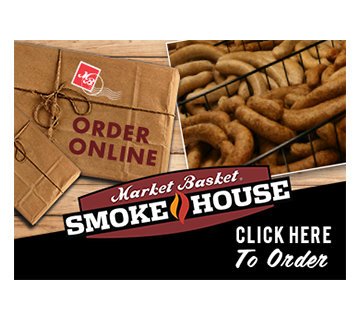 To get more great tips, recipes, and coupons right in your inbox each week, sign up for our Market Basket Newsletter.